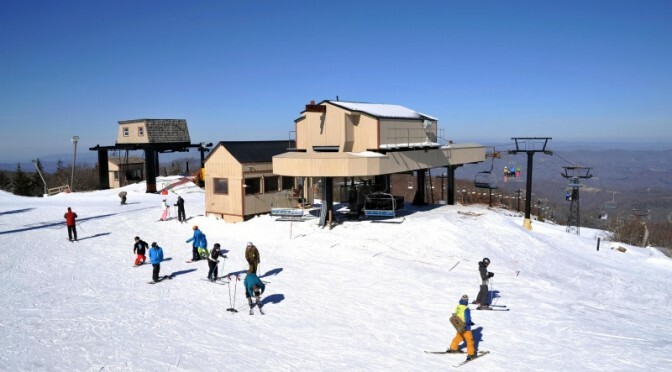 Beech Mountain, NC – A summer of improvements has set the stage for another winter of skiing and snowboarding at Beech Mountain Resort in North Carolina. The resort continued its recent trend of summertime upgrades this year, both on and off the slopes. On the slopes, a half dozen SMI Super PoleCat snow guns have been added, bringing to 46 the resort’s total of these high-tech snowmaking machines. The PoleCats – along with dozens of smaller guns – provide the resort with the best snowmaking capability in its 47-year history. Also on the slopes, the lighting system for night skiing has been upgraded, while an aging J-bar beginner lift has been replaced by a new Magic Carpet conveyor lift. 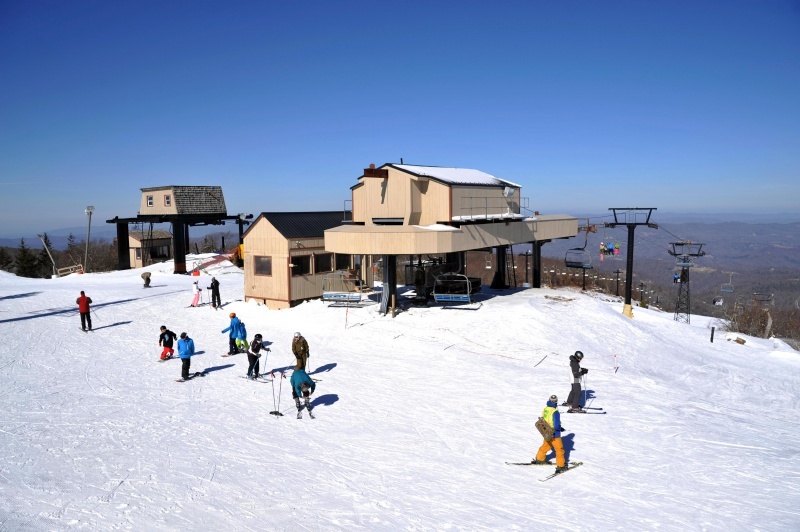 “The new lift is a big-ticket item for beginners, who will really notice the improvement,” said resort general manager Ryan Costin. Off the slopes, the resort continued to focus on amenities by completely renovating the View Haus cafeteria, adding a Burton Learn-to-Ride Center for snowboarders, partnering with Rossignol on a new fleet of ski rental equipment, and expanding teaching programs across the board for skiing and snowboarding. The View Haus, a focal point with its Bavarian turret, received an interior redesign with a mountain lodge decor. The project replaced all carpet, tables, chairs and railings; added state-of-the-art lighting; plus renovated bathrooms with automated fixtures. 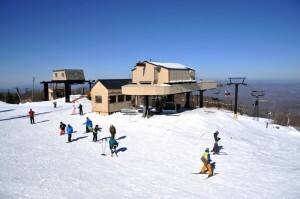 The Burton Learn-to-Ride Center in the ski village offers expert half-day and full-day snowboard lessons for juniors and adults, a first for the resort. The center also allows boarders to upgrade their rentals to the latest technology available. For skiers, the Rossignol Experience Center is stocked with a brand new fleet of skis, poles, boots and bindings. As a bonus this winter, complimentary lessons will be given to everyone age eight and older who rents ski or snowboard equipment Monday through Thursday, excluding holiday periods.